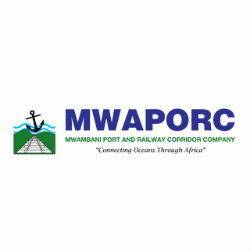 The Mwambani Port and Railway Corridor (MWAPORC) is all set with support from government of Tanzania, and the east and central African countries. According to MWAPORC Director Mr. Cuthbert Tenga all the necessary documents to start the project have been secured. The project includes construction of a deep sea and free port at Mwambani in Tanga City and a new heavy haul standard gauge railway. The new deep sea port will be designed to handle 8th generation 400-metre long ships. The estimated TZS 53 trillion project is jointly developed by VIP Engineering and Marketing Limited and MWAPORC. With new railway, port and free port MWAPORC is expected to impact Tanzania’s economic growth and job creation. Mr. Tenga mentioned the possibility of MWAPORC to list allowing indigenous entities and persons to take ownership of the project.